Watching all the movies on the Warner Bros. 50-movie box set that I bought for cheap. 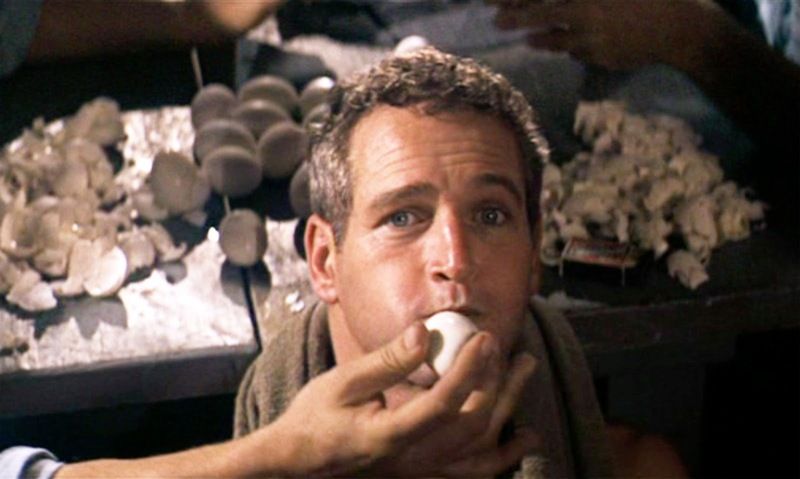 This week the random number generator has us eating a lot of eggs while we watch Cool Hand Luke. 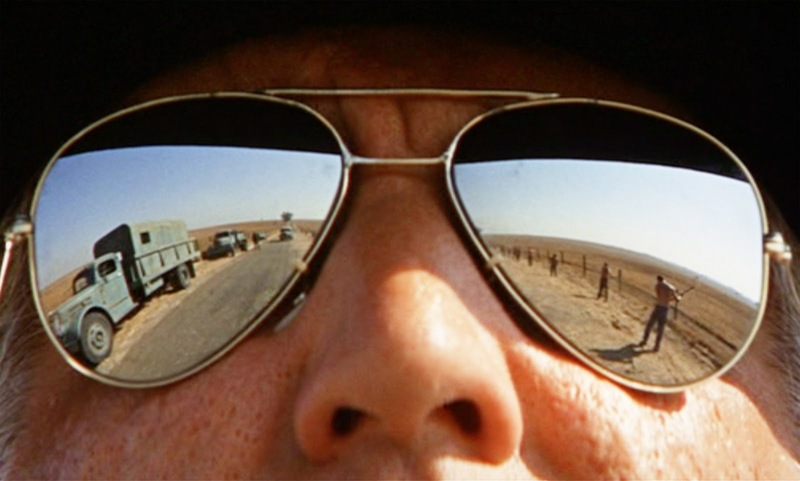 Here’s what happens: Sensitive tough guy Paul Newman plays sensitive tough guy Luke, a two-bit vandal who is arrested and jailed as part of a chain gang. He eventually buddies up with his fellow prisoners, and offers them some semblance of hope with his many escape attempts. Get your film degree: The movie goes overboard with Jesus symbolism, with Luke striking a “on the cross” pose at one point, and inspiring others by breaking free of his bonds, and so on. 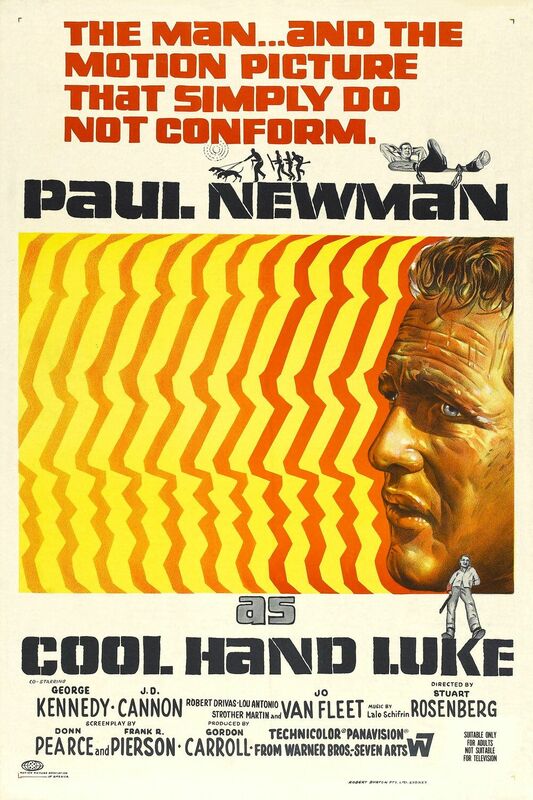 Sensitive tough guy Paul Newman allegedly wanted a part that would really challenge him as an actor, so folks would think of him as more than just a sensitive tough guy. Movie geekishness: I liked this movie, but I have a lot of questions. The biggie is, where and when does this take place? This “jail” is more like a summer camp. 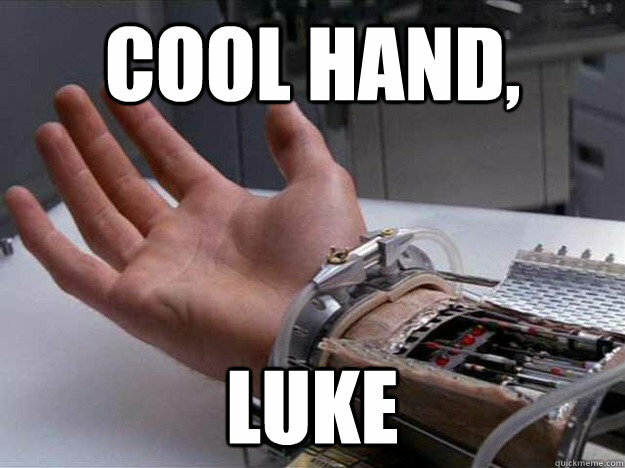 Also, the movie begins with Luke committing vandalism and letting himself get caught by cops, at which point he breaks the fourth wall and smiles at the camera. What’s that about? We eventually get some backstory with Luke and his relationship with his mother. This establishes him as a non-conformist, but is that one character trait really enough to explain all his actions throughout the movie? Thoughts upon this viewing: Yeah, I had a lot of questions, but I still really liked this one. There’s a genuine sense of camaraderie among Luke and the other prisoners, and the themes of standing tall against overwhelming oppression remain as honest and powerful as ever.